Revolution in Simulation is proud to announce the following 2018 founding sponsors who are contributing time, expertise, and funding to our initiative and the Rev-Sim.org website: ANSYS, Aris, ASSESS, EASA, ESRD, Front End Analytics, Kinetic Vision, NAFEMS, PLM Alliances, and VCollab. More recently we are equally excited to add Aras, Beyond CAE, ESTECO, Modelon, Ohio Supercomputer Center, PASS Suite, and The UberCloud. Each of these innovative Revolution in Simulation sponsors is a technology thought leader that offers software or services which make simulation not only more capable and powerful for the expert, but also more usable and reliable for the new user or non-CAE specialist. To learn more about becoming a Revolution in Simulation sponsor, and showcasing your simulation capabilities and market leadership, contact our Director of Alliances Rich McFall at rich@rev-sim.org. PASS software provides smart simulation and sizing tools for piping and equipment engineers and designers. PASS enables new users to perform piping/equipment analysis in days rather than months. When the design engineers can use this design software easily and get their job done quickly, there are huge benefits to the industry. From product prototyping to process design, high performance computing can save businesses both time and money, while improving products and streamlining operations. OSC has been a leader in the field of HPC industrial engagement since the Center’s creation in 1987. Under the AweSim program, OSC and its industry partners are together pioneering the field of M&S as a Service – automating the manual prototyping process and creating reusable apps to support affordable and accessible HPC modeling, simulation and analysis for manufacturing. The platform provides the tools needed to rapidly develop customized M&S tools (known as apps), which in turn enable companies to more quickly address emerging customer requirements. BeyondCAE provides global strategy, business development, and industry/market analysis consulting to multiple software companies, end-user enterprises, and private equity/VC investment firms. Founded by Dr. Dennis Nagy, a 47-year veteran of international executive experience and accomplishments in all aspects of the global engineering simulation (CAE) software industry, BeyondCAE is currently particularly focusing on the Democratization of Engineering Simulation and the key role Simulation Applications (SimApps) and Digital Twins play in the dramatic expansion of businessbeneficial engineering simulation use throughout the Product and Systems Performance Lifecycle (PPL). To learn more, please contact Dr. Nagy, Principal at BeyondCAE, at 919.619.5347 or Dennis.Nagy@BeyondCAE.com. Modelon provides software solutions and expert services to organizations that use model-based simulation tools to design and develop technical systems. The Modelon Library Suite, Creator Suite, and Deployment Suite are leading solutions for modeling, simulation and optimization. Our products deliver a unified picture of product system interaction and performance – from product concept to operation. Modelon, an industry leader in model-based systems engineering, leverages open-standard technologies that enable customers to use their tools of choice and share models throughout the product development cycle. Today, we serve a client base across a wide range of industry sectors which include some of the largest companies in the world. UberCloud provides Cloud With One Click – a secure, on-demand, browser-based self-service platform for engineers and scientists to build, compute, and analyze their engineering simulations. Founded in 2014, UberCloud is located in Los Altos, CA and works with customers in the manufacturing, life sciences, oil & gas, and financial industries. Aras, the leader in open product lifecycle management (PLM) software for the enterprise, provides an open, flexible, scalable, and upgradable PLM platform that enables global companies to modernize and transform systems engineering processes across the lifecycle, to connect people and product information throughout the enterprise. 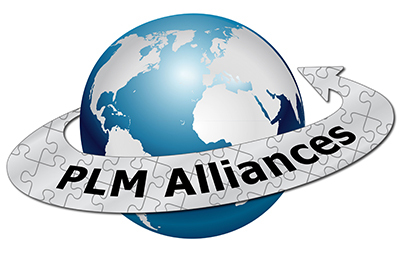 Aras brings a Simulation Process and Data Management (SPDM) capability into its open PLM platform to provide a way for organizations to connect simulation and simulation experts to mainstream engineering processes for traceability, access, decision-making and reuse across the product lifecycle. To learn more about the Aras Platform approach enabling innovation in the product development process, please visit us. With over 40 years and more than 3,000 people focused on the design and simulation needs of engineers and other professionals, ANSYS provides an unparalleled array of tools for everything from concept and product design to in-depth validation. Our tools enable engineers, doctors, scientists, and others to understand and optimize the structural, thermal, fluid, and electronic performances of products. We’re passionate about democratizing and pushing the limits of world-class simulation technology so our customers can turn their design concepts into successful, innovative products faster and at lower cost. To learn more about ANSYS products enabling upfront simulation and democratization please visit our website or www.ansys.com. Since 1988 Kinetic Vision has been delivering progressive and imaginative product and process solutions for its international customer base. The company’s expertise is turning strategy into execution using the latest Digital Development Tools to support the Product Lifecycle. This includes enterprise-wide deployment of advanced technologies such as HPC modeling and simulation, industrial scanning and virtual reality, but also extends to many other cost-saving and speed-to-market solutions. To learn more about Kinetic Vision and examples of their contributions to advancing the practice of engineering simulation read this interview with President and CEO Rick Schweet. Or contact Aerin Shaw, Marketing and Partnership Lead for Kinetic Vision at (513) 793-4959 or aeshaw@kinetic-vision.com. NAFEMS provides knowledge, international collaboration, and educational opportunities for the use and validation of engineering simulation. NAFEMS is the only worldwide independent association dedicated to engineering simulation. Currently, there are more than 1300 member organizations worldwide ranging from major global corporations through small-scale engineering consultants. NAFEMS Americas partnered with a number of industry thought leaders and end-user companies to host a year-long program of webinars focused on three major topic areas, one of which was Democratization. If you’re not a member, you can view introductory webinars listed here. 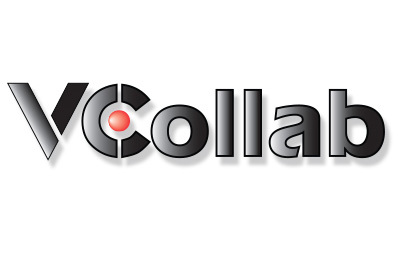 VCollab helps product development companies by providing CAE Visual Collaboration tools to Smart Extract Intelligent Simulation Information from CAE Results files for easier sharing and faster design validations, leading to accelerated innovation. To learn more about VCollab’s contribution to advancing the democratization of engineering simulation technologies read this interview with VCollab Co-Founder and CEO Prasad Mandava. To learn more about the 3D Dynamic CAE Interactive Images and Reports tool, please click here or contact VCollab below. Front End Analytics delivers dramatic increases in product development velocity, quality and innovation. We offer Value Centric Services and the Best in Class Software in the areas of: Engineering Simulation, Simulation Democratization, and Predictive Analytics. Our solutions cover the entire product lifecycle from conceptual product design to field usage. For additional information about upcoming events and related information click here. EASA enables you to “appify” your simulation models and workflows to easily-deployed, web-based applications that capture design rules, constraint checks and error trapping, which can then be deployed to any controlled group of users. Users could be existing subject-matter-experts needing to streamline their current workflows, and/or users who are not experts in modeling. To learn more about EASA’s contribution to advancing the democratization of engineering simulation technologies read this Interview with EASA Director Sebastian Dewhurst. Click here to learn about Five Ways to Increase the ROI of your Modeling & Simulation Software Assets. The ASSESS Initiative is a broad reaching multi-industry initiative with a primary goal to facilitate a revolution of enablement that will vastly increase the availability and utility of Engineering Simulation, leading to significantly increased usage and business benefits across the full spectrum of industries, applications and users. The vision of the ASSESS Initiative is to bring together key players for guiding and influencing the software tool strategies for performing model-based analysis, simulation, and systems engineering. To learn more about ESRD and their contributions to advancing reliability in engineering simulation read this interview with ESRD’s President and CEO Dr. Ricardo Actis. Engineering Software Research and Development, Inc.
PLM Alliances provides business and market development consulting to alliances, partners, and communities that help accelerate new technology adoption across the many solution software market segments of PLM, including CAE, Simulation & Analysis, and High-Performance Computing. For additional analysis and commentary of the Revolution in Simulation movement, follow the Alliance Alchemy blog.